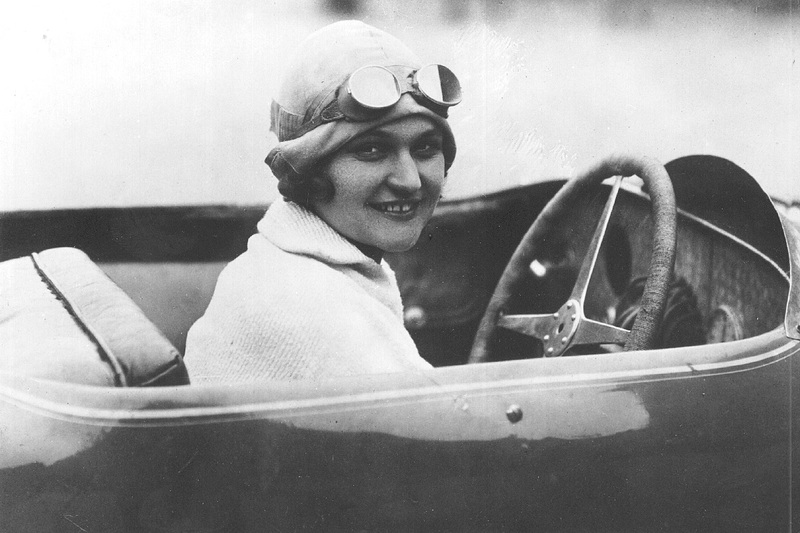 In a time when the mere sight of a woman behind the wheel of a motor car was quite uncommon, Eliška Junková was racing the hardest courses of Europe and competing with the best of the male racers. She was born on 16th November 1900, the daughter of a locksmith in the Moravian town of Olomouc. Her birth name was Alžběta Pospíšilová – she changed it to Eliška after her wedding, to mimic her nicknames of Eli or Eliza, based on the German version of her name, Elisabeth. But let’s begin with how she met her first husband. A young girl with a great talent for languages, she started working as a correspondence clerk at a local branch of the Prague Loan Bank. Here, Vincenc “Čeněk” Junek, six years her senior, first noticed her. He was a resilient, hardworking young man from a poor family, building a promising career in banking. Alžběta and Čeněk took liking to each other and when Čeněk was transferred to Brno, Alžeběta went with him . A complicated, on-and-off relationship begun, with Alžběta and Čeněk alternately planning a future together and splitting. She wasn’t ready for marriage and eventually left the country to get to know the world. She moved to France, where she worked in a horticulture shop near Antibes, and then to Switzerland where she improved her language skills. Even when they were apart, Alžběta knew that Čeněk was still waiting for her. When she returned home, she found out that her boyfriend had got into motor racing and she took up the hobby herself. In 1921, she was one of the first women in Czechoslovakia to get her driver’s licence. In the same year, she went to the Paris motor show, where she met the famous Ettore Bugatti. His automobiles totally captivated the young motorist and the result was a contract for purchase of the couple’s first racing car. In the summer of 1922, Alžběta Pospíšilová finally became Eliška Junková. 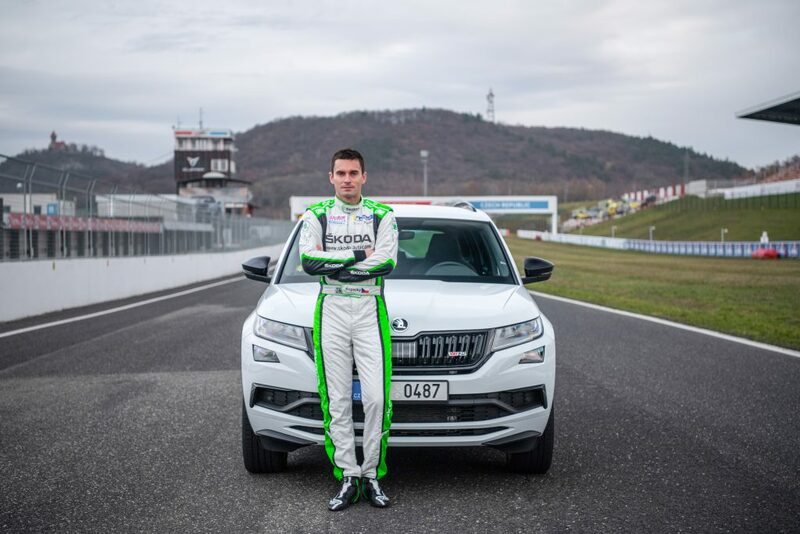 By that time, Čeněk was already racing motor cars. So it was only natural that their honeymoon was a practice run of the Karlovy Vary – Mariánské Lázně race. From that moment, Eliška followed her husband to races and practises. She also got behind the wheel. Because of her short stature, she had to put pillows in her seat in order to reach the steering wheel and the pedals. Eliška competed in her first race in the September of 1924, and achieved her first success. 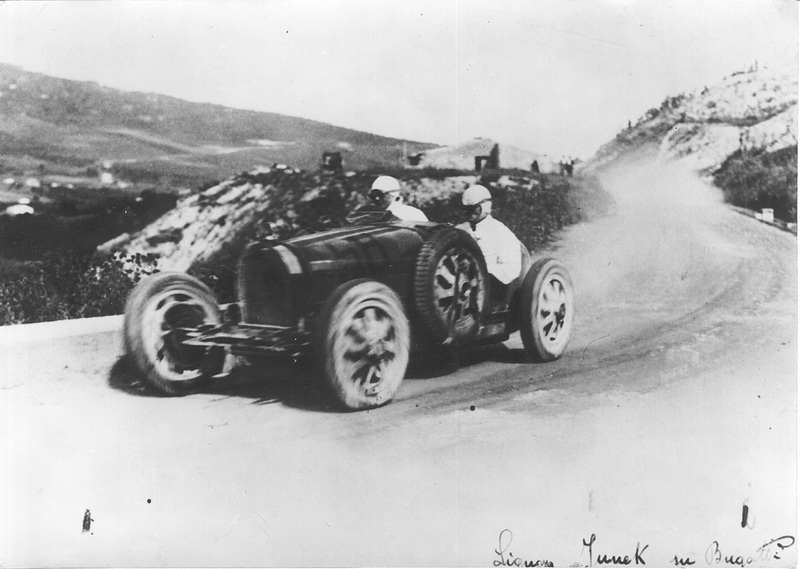 Driving a Bugatti T30, she took first place in the Lochotín – Třemošná race in the two litre category. It didn’t take long for her to beat her own husband. 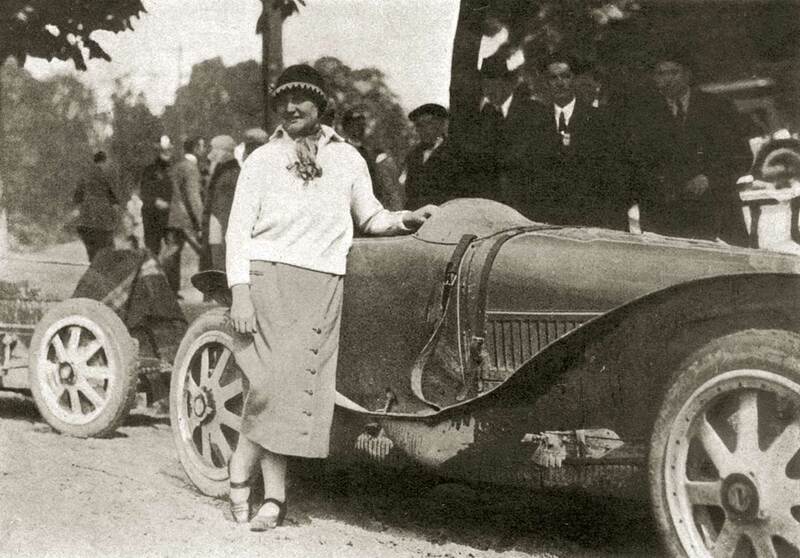 In the spring of 1925, she finished first overall and she and Čeněk both won their respective classes. The racing couple achieved similar success in motor races across Czechoslovakia and Eliška quickly moved on to the international racing scene. She was invited by the Swiss Automobile Club to enter the Klausenpass hillclimb race and finished second. The 1927 German Grand Prix at the famous Nürburgring circuit followed, with Eliška finishing fourth overall and first in her class. Eliška’s promising racing career brought her immense popularity and she was adored by motoring fans in Czechoslovakia. Both her career and popularity peaked in 1928, when she entered the legendary Targa Florio road race in Sicily, considered at the time to be the hardest race in the world. It was the second time she tried her skills at Sicily, but the first time, in 1927, she had been forced to retire when in second place after the steering on her Bugatti T37 broke. She faced technical difficulties again in 1928, but this time, she took her Bugatti T35B to the finish even though the water pump broke. In the second of five laps, Eliška was in the lead, but the technical problems cost her a few places. She finished in a still wonderful fifth place. The winner, Albert Divo, saluted Eliška after the race and thanked her for a hard competition. After coming home from Sicily, Eliška was the centre of attention. Whenever she drove through Prague with Čeněk in her Bugatti, she was followed by dozens of motorcyclists and cheering crowds. Eliška was convinced that she couldn’t accomplish anything greater in racing, so she wanted to step aside and become Čeněk’s manager. That wasn’t meant to be. In the same year, 1928, a tragic accident occurred during the German Grand Prix. Čeněk Junek’s car skidded and he was thrown out of the car, cracking his skull on a rock. He was racing without a helmet – he had ordered one, but it didn’t arrive in time. The remaining Czechoslovak racers, including Eliška, retired from the race as a sign of respect. 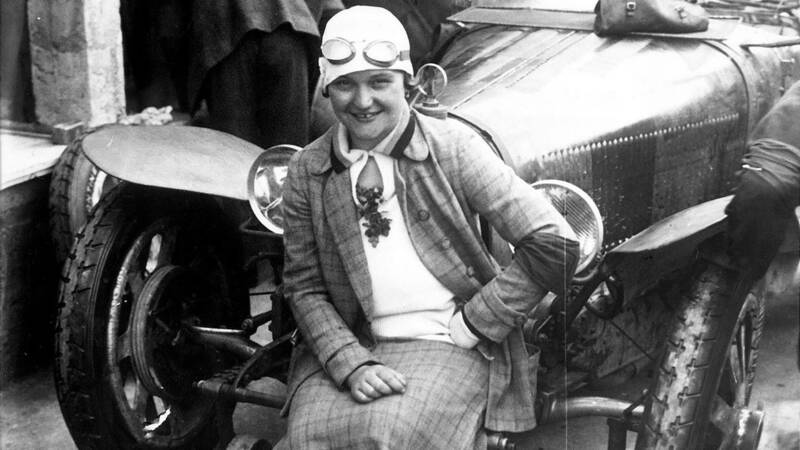 Even though Ettore Bugatti himself tried to persuade her otherwise, Eliška immediately quit racing, although she didn’t lose her love of cars. She cooperated with Czechoslovak Automobile Club for Moravia and Silesia, she was active in creating Masaryk’s Circuit in Brno and she was an ambassador for Bugatti. In the first half of the 1930s, she helped the famous company Baťa with tyre development, and she remained in this field until her retirement. After her husband’s death, she moved from her flat in the Lucerna Palace in Prague’s Wenceslas Square to a villa, “Na krásné vyhlídce”, which today houses the embassy of Spain. She married sports and motoring journalist Ladislav Khás but their marriage only lasted until 1976. Eliška Junková lived to be 93 years old. She died on 5th January 1994 in Prague, leaving her mark in history as a legendary racer, remembered by sporting fans and the big names of motorsport alike. 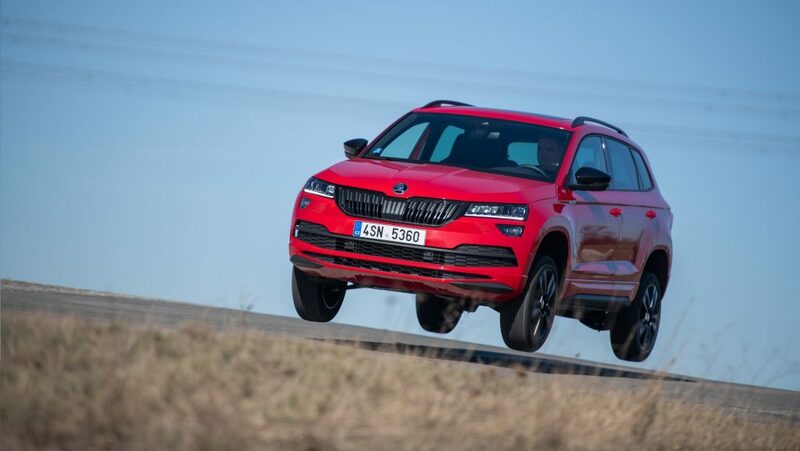 The people who were lucky enough to meet her described her as a pleasant lady who looked feminine and elegant even behind the wheel of a racing car – where she could do wonders.